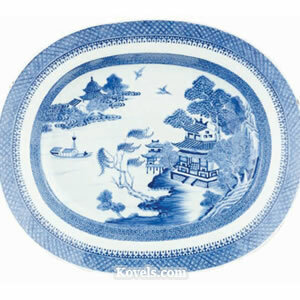 Nanking is a type of blue-and-white porcelain made in Canton, China, since the late eighteenth century. 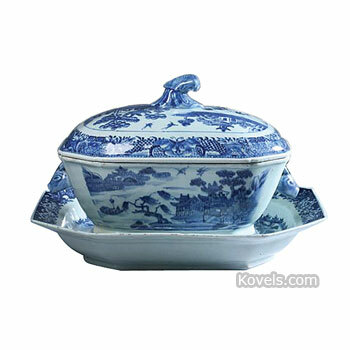 It is very similar to Canton porcelain, which is listed in its own category. 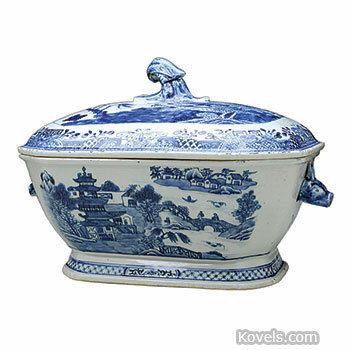 Both Nanking and Canton are part of a larger group now called Chinese export porcelain. 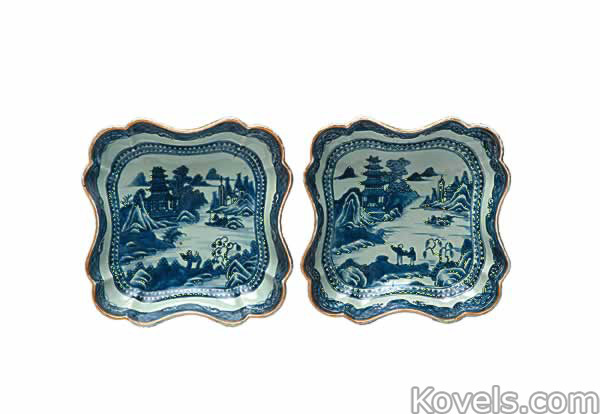 Nanking has a spear-and-post border and may have gold decoration. 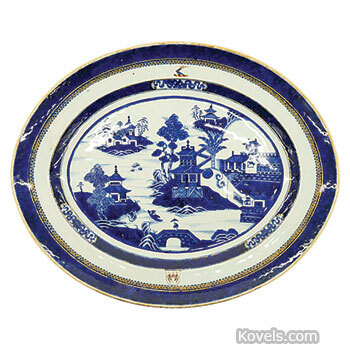 The similar Canton ware had a different border of a lattice band and a scalloped band.